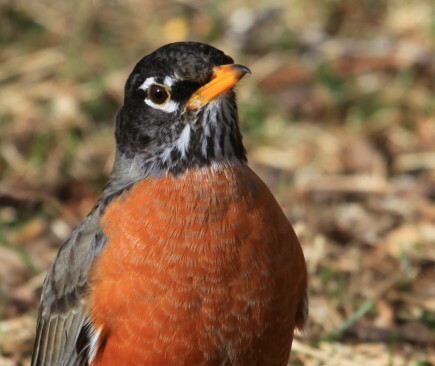 Robins seem to be everywhere right now. They are kind of nomadic in the winter, going where the food is, and leaving when it is gone. I think some have been caught in the weather swings we have been having here in northeast Kansas lately. This has been a pretty cold week and we have freezing rain on the way, so they may have some difficulty over the next few days. 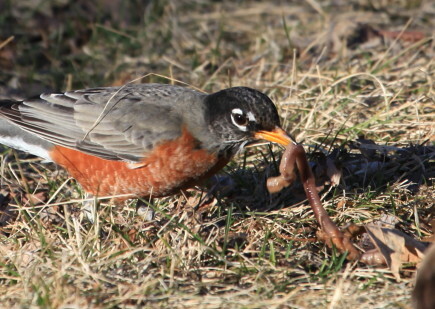 I am loaded up with raisins for the robins who are still around the neighborhood tomorrow. Click on pictures to enlarge. 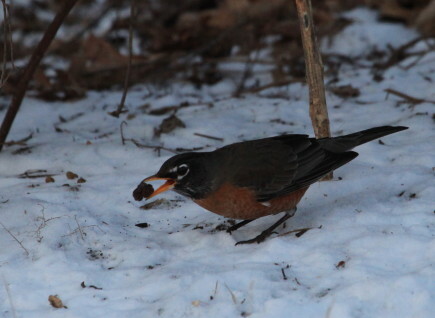 On February 6, there was snow on the ground and I was handing our raisins. 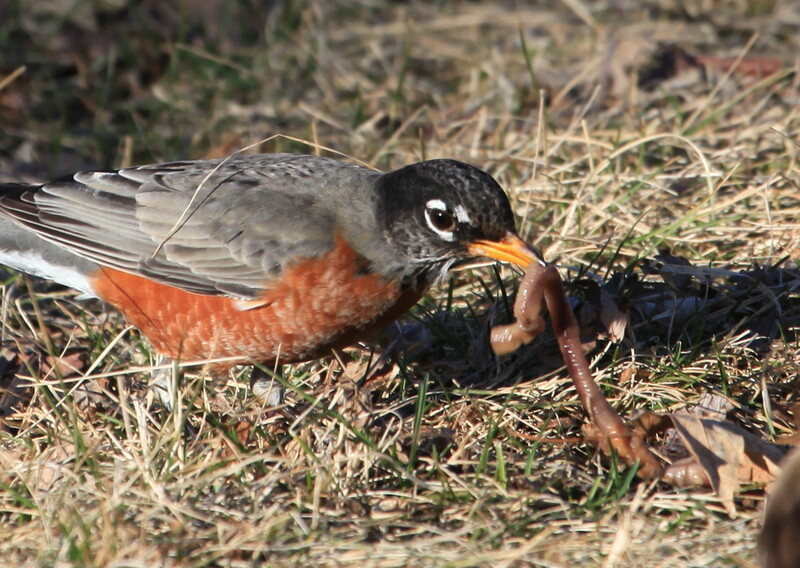 On February 8, it was warm enough to find earthworms. That’s Kansas! This entry was posted in robins and tagged american robin on February 20, 2015 by admin.